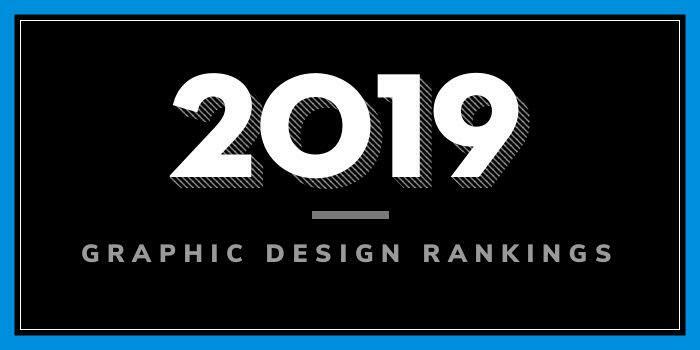 Our 2019 rankings of the top 10 graphic design school programs in Texas. For an explanation of the ranking criteria, click here. The University of Texas at Arlington (UTA) was established in 1895 as Arlington College. The school serves nearly 42,000 students from every state and 100 countries, and it offers more than 180 degree programs through 10 colleges and schools. Programs for aspiring graphic designers are offered in the College of Liberal Arts, Art & Art History Department. Options include a BFA in Visual Communication Design (Graphic Design, Web and App Design, Illustration, Packaging, Gaming) and an MFA in Visual Communications. With more than 300 students enrolled, the Visual Communication Program is the largest in the Art & Art History Department. Program highlights include access to advanced digital studios and printing labs + Studio Create Gaming Studio, over MAC computers in the Visual Communications Area, and the Corrugated Prototype Design and CAD Production Lab Donated by The International Corrugated Packaging Foundation. Course highlights include Sign and Symbol, Sustainable Design, Visual Identity Systems, Interactive Design/Information Visualization, Publication Design, Advanced Typography, Mobile App Design, Packaging & 3D CAD, Emerging Technology: Studio, Gaming Exploration, and Design Texas. Sam Houston State University (SHSU) was established in 1879 as Sam Houston Normal Institute. The school serves 21,115 undergraduate, graduate and doctoral students, making it The twelfth largest university in Texas. SHSU offers more than 80 bachelor’s degree programs, more than 50 master’s degree programs, and six doctoral programs through seven colleges. The College of Fine Arts & Mass Communication houses the Department of Art, which offers a BFA and a Minor in Graphic Design. The program consists of the University Core Curriculum, Art Department Foundation Courses, Art Department Core, and 45 credit hours of Graphic Design requirements. Through a carefully curated curriculum, “students gain an understanding of ideation, visual organization, typography, and production tools and technology, including their application in the creation, reproduction, and distribution of visual information,” says the school. All BFA students must “participate in the Art Department BFA Portfolio Review after completing the Foundation courses and Graphic Design majors must take the Graphic Design Portfolio Review after completing 6 hours of Graphic Design courses.” All students will also participate in a Graphic Design Senior Exhibition. Founded in 1947, Texas A&M-Corpus Christi (TAMUCC) opened its doors with 969 students as an upper-level institution offering courses at the junior, senior and graduate levels. Today, the school serves more than 12,000 students enrolled in more than 80 degree programs through five academic colleges. The College of Liberal Arts offers a BA in Graphic Design and an MFA with an Emphasis in Graphic Design. Per the school, students in the program “not only learn the fundamentals of design, but a breadth of knowledge in typography, emerging technologies, packaging, branding and more.” The BA program, which consists of a total 120 credit hours, includes 54 major hours in Graphic Design and 18 electives. Sample courses for the program include Design and Color, Emerging Technologies, Design Studio, Publication and Editorial Design, Corporate Identity, Design for Good, and Design in Advertising. Other program highlights include internship opportunities with local publications, non-profit organizations, city offices, advertising agencies, video production companies, tourist attractions, small businesses and large corporations, expert faculty, state of the art facilities, real world client projects and community engagement, and access to travel related to the design field. Students will also have the opportunity to attend national conferences, with international speakers and guests in attendance. The MFA is a 60 credit hour program, with a minimum of 30 semester hours (ten courses) in Graphic Design. Students may also choose up to nine hours of elective credits that can serve as a minor area of concentration. A major component of the MFA in Graphic Design is Periodic Critique. The major studio work of each student will be critiqued by members of the student’s degree committee after the completion of nine semester hours, with subsequent faculty reviews of major studio work occurring each semester. University of the Incarnate Word (UIW) was founded in 1881 as Incarnate Word College—a school for young women. Today, the school serves a coed population of nearly 11,000 students enrolled in seven baccalaureate degrees with majors in a variety of disciplines, seven graduate level degrees with majors or concentrations in disciplines that prepare students for their chosen professional career, one doctoral level degree, the Ph.D., with concentrations in four areas and two professional-level programs, Pharmacy and Optometry. Course highlights include Aesthetics: Art & Beauty, Graphic Design Software, Visual Language, Interactive Design, Business of Design, and Typography. Students will also take Advanced Projects courses, Special Topics, and complete a Senior Portfolio. Graduates typically land positions in Print Design (i.e. corporate branding, art director, creative director, information designer, advertising production, and packaging) or Interactive Design (i.e. front-end developer, user interface designer, webmaster, motion designer, and usability designer) in San Antonio, throughout Texas, and all across the country. Baylor University was chartered in 1845 by the Republic of Texas. It has a total enrollment of 17,217 students enrolled in 142 undergraduate degree programs, 75 master's programs, and 42 doctoral programs across 12 colleges and schools. Students come from 50 states, the District of Columbia, and 89 countries. The College of Arts & Sciences, Department of Art offers a Graphic Design Emphasis within the Studio Art Major. Per the Department, the program, which leads to a BFA in Studio Art – Graphic Design, “offers students the opportunity to develop their hand and aesthetic skills, and conceptual development.” Students in the program will take liberal arts courses, visual arts courses, and marketing courses, and an optional internship is available.